What a fashionable way to carry your keys, or to clip on to a purse or backpack for an extra trendy touch! Snap in the Original Dot of your choice from our selection of hundreds and you will have an even prettier accessory! This is my favorite key chain so far! 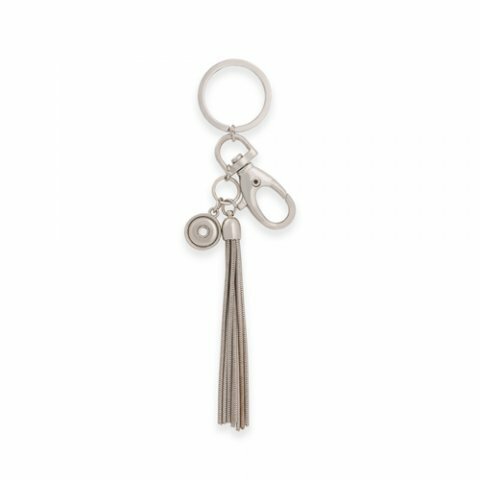 The long silver tassels are fun and edgy! I love that it also has the Spring clip to make it easy to attach and detach for easy access. Holding a fun dot is a bonus!! Perfect gift for a graduate.